There’s something about the tried-and-true police procedural that always keeps me coming back for more—and finding an author who can write a police procedural in as fresh, modern a way as can Caz Frear is a genuine treat. SWEET LITTLE LIES follows a policewoman in London whose personal life collides with her work in a dark and dangerous way. Cat Kinsella is called to the scene of a crime: the body of a young woman has been found not far from the pub that her estranged father still runs. Things become stranger still when Cat receives a mysterious call linking this murder to the disappearance of a young woman in Ireland years prior—a young woman whom Cat and her family saw just days before she went missing. Cat had long suspected that her father knew more about the young woman’s disappearance than he admitted… and her latest work assignment will now give her a new opportunity to investigate her own past. SWEET LITTLE LIES is an astonishingly assured debut; Cat Kinsella is a fantastic protagonist, and readers will love the complexity and precision of plotting Caz Frear puts forth in this mystery. With her first suspense novel, Frear has established herself as an author to watch - I have no doubt we’ll be hearing of Frear’s work for years to come. Highly recommended for readers looking for a slow-burning, layered mystery that puts a fresh spin on classic police procedurals, and injects a male-dominated genre with a fiercely feminist protagonist. If there’s a perfect crossover between “trendy” and “classic” crime fiction, it might just be Caz Frear’s SWEET LITTLE LIES. You know those debut novels so expertly plotted, so vividly drawn, it’s hard to believe they’re actually debuts? Frear’s first crime novel falls under that category. SWEET LITTLE LIES is proof positive that the police procedural, in the right hands, will never go out of style. Take one look at this book’s gorgeous cover and you might think you’ve found your next favorite “trendy” suspense novel… but open the book’s pages and you’ll discover you’ve found something even more compelling. SWEET LITTLE LIES is a classic detective novel made modern; Frear writes with the confidence and precision of your favorite procedural writer, yet she injects her police novel with a sensibility that is very much of the book’s modern times. 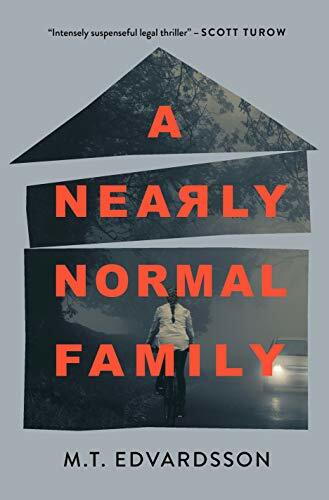 By blending her procedural with an exploration of family dynamics and secrets, Frear makes this blend effortless and totally accessible - readers will follow protagonist Cat Kinsella down the rabbit hole into her family’s dark past as quickly as they’ll follow her on her beat as a police officer in England. The result? A police procedural that is timely and timeless - as strong an example of classic procedural writing as it is a fresh, modern suspense story. At the heart of Frear’s outstanding novel is Cat Kinsella, a young woman working in the police force in England. Cat is, in a word, relatable - and it’s her relatability that gives SWEET LITTLE LIES its edge against the competition. Now, I love a good “larger than life” detective as much as the next reader; there’s always something fun about those protagonists who seem infallible and almost superhuman in just how good they are at solving crimes, and when I’m in the mood for something escapist, those kinds of characters are such fun to read. But to read a character like Cat Kinsella is an altogether different experience, and it’s one that is arguably all the more meaningful because of how down-to-earth that character is. Cat is a complicated young woman: a dedicated police officer, a daughter, a sister, a woman grappling with her own insecurities, both personally and professionally. She’s complicated, yes, but she’s no more complicated than you or I, and that’s exactly why I loved her. As Cat grapples with the dynamics of her career in the police force, her anxieties about her family, her insecurities in her romantic life, and a whole lot more, readers will find so much of what she experiences a reflection of their own personal struggles. Granted, hopefully not too many of us reading SWEET LITTLE LIES will be harboring a long-held fear that someone in our family was involved in the disappearance of a young girl… but surely many of us can relate to the unique challenges of family, and the coming-of-age experience of realizing your parents have lives you might never have known about as a child. Cat is fiery, strong-willed, tough, fallible, insecure, lonely - she is so many things that we can all be, too, and that’s what made me love her so much. And, of course, this wouldn’t be a police procedural if there weren’t a compelling mystery propelling this book forward, too. As Cat’s personal life collides with a case she is tasked with investigating, readers will find themselves drawn into the kind of layered, meticulous mystery that fills the pages of the best procedurals. Given its complexity of plot, it will come as no surprise to readers that SWEET LITTLE LIES is a slower-burning read; this isn’t the kind of book I found myself wanting to binge-read, but I was completely absorbed in the story, too. There were a few moments in the middle portion of this book that seemed to drag just a little bit, but they hardly detracted from my reading experience—and the detail Frear put into her plotting enhanced the story’s ultimate conclusion very effectively. Sometimes procedurals get a bad rap as being “stuffy”; if you’ve ever felt that way about a procedural before, you would do well to give SWEET LITTLE LIES a try - this book might just change your mind. Frear writes with the kind of precise attention to detail that I absolutely love about this category of crime novel - if you enjoy puzzling out a mystery alongside a team of investigators or detectives, you will feel right at home in the world she has crafted here. And with Cat Kinsella as the central investigator piecing together her own past with the murder that her team is tasked with solving, SWEET LITTLE LIES is the kind of “modern classic” the genre didn’t even know it was missing. It’s truly the best of both worlds: the family secrets and interpersonal tension of psychological suspense combine with the classic structure and pacing of police procedurals to deliver a thoroughly modern take on a classic category of crime fiction. In short: SWEET LITTLE LIES is a stellar crime fiction debut by an author to watch. I’m already looking forward to reading the next book from Frear—I have no doubt she will be an author I’m enthusiastically reading for years to come.